Is Your Mitochondrial Function Causing Fatigue and Brain Fog? Age-associated mitochondrial dysfunction can cause fatigue, brain fog, impaired cognition and more serious neurological involvement including Alzheimer’s and Parkinson’s. Unfortunately, the internet is flooded with claims about mitochondrial supplements and tests thus making it difficult to know what you should do. Fortunately, one supplement has clinical trial documentation to improve fatigue, the potential to repair mitochondria and help protect against neurodegenerative disease. Dr. Michael Ruscio, DC: Hey, everyone. Welcome to Dr. Ruscio Radio. This is Dr. Ruscio. And today, I’m here with Dr. Jon Kaiser. And we are going to be discussing mitochondrial health and mitochondrial dysfunction, a topic I am very curious to dig into. So Jon, welcome to the show today. Dr. Jon Kaiser: Thank you, Michael. It’s a pleasure to be here. DrMR: Can you tell people, just in brief, your background so they know how you’ve been involved with mitochondria and mitochondrial medicine? The mitochondria is the only other part of the cell besides the nucleus that has genes. The mitochondria has its own genome. Most people do not have mitochondrial ‘disease’ – unless they are actually born with primary mitochondrial disease which is a genetic disease. Blood sample that measures the ability of the mitochondria in your white blood cells and your platelets to make ATP. A direct assay of mito health and function. If you can’t order Kpax – take the following twice per day for treatment and once per day for maintenance. DrJK: Yeah, so I think it’s an interesting story. Even before I went to medical school, I was completely enamored by the mitochondria and the way it functioned. At that point in time, we thought all it did was make energy—the Krebs cycle and the electron transport chain. I was just fascinated by the structure and the function of how this part of the cell worked and how important it was. So I majored in biochemistry in college. And then I went to medical school. And completely unrelated to the mitochondria, in medical school I was very frustrated with the very mechanistic, conventional way that they were teaching to practice medicine with drugs, surgery, chemotherapy, and virtually nothing else. This was in the mid 80s. And so my questions weren’t really being answered by the medical school professors. So I ventured out. And I found a really nice health store healing center about four blocks from the medical school. And I got a job there, working after medical school hours. And it was a gold mine of information. And I learned about herbs. And I learned about natural healing. And I learned about diet and supplements. And it was such a great way to balance out everything that I was learning in medical school. And I was even tempted to drop out of medical school and become a naturopath or chiropractor or acupuncturist. But I decided that the best course for me to take was to keep my mouth shut through this conventional system, get the MD behind my name, get the experience and the knowledge of being able to treat people with conventional medicine, and then to combine the two once I got out in private practice. So I made it through medical school and internship/residency in San Francisco. And I started my private practice. And I specialized in both internal medicine and integrative medicine and had the kind of practice I wanted. But unfortunately back then, it was at the height of the AIDS epidemic in San Francisco. And so in addition to being a general medicine practitioner using holistic functional medicine, I was also an HIV/AIDS specialist. And I did primary care for AIDS patients. And this is where it leads back into the mitochondria. Back in those early days, there were very few drugs to treat AIDS. And they were antiviral medications. And those early antiviral medications had some pretty nasty side effects. They caused liver inflammation. They caused fat loss in the face. They caused pancreatitis. And they caused neuropathy, like what people get with diabetes. And ultimately, those side effects to these couple of drugs were traced to direct toxicity to the mitochondria by the drugs. So at the same time they were inhibiting replication of HIV virus, they were poisoning the mitochondria by damaging and inhibiting a key enzyme in the mitochondria. And because I had a lot of patients who were at risk for these side effects, I was able to refine and fine tune a supplement combination of antioxidants and other mitochondrial support nutrients that actually became an antidote for the side effects of those drugs. DrMR: That’s fantastic! And you’ve also published. I know of at least one randomized clinical trial. And this is one of the things that I really liked about your bio. You weren’t solely on the clinical side. And you weren’t solely on the research side. You had what I think is the optimum blend for clinician and academics or research where you were participating in both. So can you tell us just briefly about some of the research that you’ve published? DrJK: Sure. So back in those early days, my laboratory was my patient population, as it is for a lot of integrative doctors. And that’s where you learn your craft. And so once I realized that I was able to block or reverse this mitochondrial damage from these drugs, I realized that there were a lot of other people who weren’t benefiting from what my patients were benefiting from. And so I went to the pharmaceutical company Bristol-Myers Squibb that was selling these drugs with these side effects. And everybody by then acknowledged that it was due to a detrimental effect on the mitochondria. And I was able to convince their research department to fund the double blind, placebo control trial of this nutritional invention, this micro-nutrient cocktail to support the mitochondria versus a placebo in patients taking their drug. And we showed that when you supported the mitochondria, not only did the side effects to their drug go away, but actually the patients’ immune systems increased in strength by 25% in just 12 weeks. So it was a highly significant difference. And it was a well done clinical trial. And the results were published in the Journal of AIDS. And so that was the first clinical trial. And I realized as I was watching all the drugs being tested and developed for treating AIDS that you really had to do well done clinical trials if you were going to move the needle or convince the establishment that something really worked. So that was the first clinical trial. And once I saw that this combination of nutrients worked so well to support mitochondrial function, I knew I had to keep doing research on it and keep collecting data because ultimately I believed, whether it was to treat AIDS or some of the other diseases that were starting to be linked to poor mitochondrial functioning, I realized that I really had a discovery on my hands. I had something that could be highly valuable in people’s lives who were suffering from these mitochondrial diseases. So I helped form a company called K-PAX Pharmaceuticals. And we not only put this mitochondrial formula on the market, called K-PAX Immune. We then started doing additional clinical trials. And we’ve done clinical trial in AIDS, two clinical trials in chronic fatigue syndrome, and a fourth clinical trial in disease also linked to abnormal mitochondrial function called Gulf War illness. So four clinical trials to date. And we’re now trying to raise funding to use this as intervention in stopping or reversing Alzheimer’s. And we’re all open. But we also want to have some kind of evidence, some kind of proof that the intervention that we’re going to either undergo ourselves or recommend that one of our patients undergoes will actually work. And I say this knowing that there are some lab companies right now that—you pee in a cup essentially. Or maybe you do another type of assessment. And almost everyone comes back with some kind of “marker of mitochondrial dysfunction.” But it’s difficult to know. Are these markers ones that actually have predictive validity in terms of treatment outcomes? And so I’m sure there are some details to drill down into there. But I think there is some confusion. We all want to be progressive. But how do we parse out what’s actually been tried and true and what is maybe very early and littered with speculation? DrJK: Right. So that’s an excellent question. And I’ve done a lot of looking into the answer to this question. But before I talk about the tests, I think it would be really useful to paint an even bigger picture and say that most people—unless you’re born with what’s called a primary genetic mitochondrial disease. So the mitochondrion is the only part of the cell other than the nucleus that has genes. So the mitochondrion has its own genome. And that genome helps the mitochondria make key subunits for the electron transport chain so it can jump into action quickly. DrMR: And I should just maybe quickly say for the audience that part of the machinery that allows the mitochondria to make energy is the electron transport chain. And the mitochondrion is essentially the section of your cell that makes energy. DrJK: Right. And there’s a lot going on in the mitochondria that doesn’t go on in the rest of the cell. In the process of making energy, the mitochondria are like a furnace. It’s burning glucose and fat. And it actually combusts glucose and fat by combining it with oxygen. And as it does that, it generates ATP. But this is like a radioactive generator because you have all of these free radicals that are generated in this process. And that’s why the mitochondria have so much antioxidant machinery to naturally detoxify free radicals as part of this process. And so the mitochondrion concentrates glutathione. It concentrates alpha lipoic acid. It concentrates vitamin C, vitamin E. These antioxidants are nature’s way of cooling the reaction. But it’s also interesting to know that the mitochondrion is the only part of the cell that makes heat because there’s so much going on inside it. And that’s why most warm-blooded animals have far more mitochondria than cold-blooded animals. That’s where the heat comes from. But anyway, getting back on track. So the mitochondria have these genes. And the belief at this point is that most people are born with normal mitochondrial genes unless you have this primary mitochondrial genetic disease. But as we age over time, due to poor diet, stress, environmental toxins, heavy metals, unhealthy lifestyle, we tend to see a gradual decline in the health of the mitochondrial genome because it’s exposed to oxidative stress for years and years and years. And if you don’t take in enough antioxidants or your level of stress is too high, the mitochondrial genes mutate. They get gradual accumulation of mutations. And the ability of mitochondria to make enough energy starts to decline. And in some people, it declines faster than others. And at some point if you are genetically susceptible to diseases which occur when there’s not enough quality energy being produced, you can actually start to get some of these diseases. And the two diseases that are linked the most strongly to this age-related mitochondrial decline in efficiency and energy production are Alzheimer’s and Parkinson’s disease. They’re known as neurodegenerative diseases. And there’s a rapidly growing theory that as this decline in energy production in brain cells goes on in your 50s, in your 60s, in your 70s if you’re genetically susceptible, you will develop either Alzheimer’s or Parkinson’s disease. And the trigger and the driving force behind the decline in these brain cells is actual mitochondrial failure. So this kind of mitochondrial disease is called a secondary mitochondrial disease or an acquired mitochondrial disease. And the decline is theorized to have been going on for decades. And only when you lose a large number of brain cells do you first start to show symptoms. So it would really be a breakthrough if we had an accurate test to measure a person’s mitochondrial health every couple of years after they turn 50 so we could intervene and stop this decline before the symptoms of Alzheimer’s and Parkinson’s disease develop. And so you do see a lot of these labs talk about glutathione levels, superoxide dismutase levels, lipid peroxide levels. But these are all what I call indirect assays of mitochondrial health and functioning. They’re nutritional levels. The one that was shown in our most recent study to be somewhat accurate is the lipid peroxide level. The lipid peroxide level in the blood is a measure of an oxidative stress marker. So if your mitochondria are overheating, the membranes are being damaged due to free radicals, then these lipid peroxide levels can go up in the blood. But that’s still an indirect assay. There is a very exciting direct assay of mitochondrial functioning that has been in development for about 10 years now. And it’s called the Seahorse Mitochondrial Stress Test. The company that developed it was called Seahorse Biosciences. It was bought two years ago by a company called Agilent Technologies. And it’s a very sophisticated machine that from a blood sample will measure the ability of the mitochondria in your white blood cells and your platelets to make ATP. It’s a direct assay of mitochondrial health and function. And it’s slowly making its way toward clinical use. Right now it’s only available through research studies or in very sophisticated research labs. But we are planning to include this kind of testing in our next clinical trial so we can see before and after changes when people take our treatment. And I believe that eventually this test or something like it is going to be what functional medicine doctors send their patients to the lab for to get a very accurate picture of the health of their mitochondria. And it has been shown that in diseases that affect the mitochondria even in the brain, like Alzheimer’s and Parkinson’s, that there’s a systemic decline in mitochondrial functioning. So the mitochondria in the white blood cells are abnormally low as well. Hey, guys. We’ve discussed at length the benefits of probiotics. But it can be hard to know which specific probiotic products to use. One probiotic that I endorse is Just Thrive Probiotic. Just Thrive is one of the few category three (aka soil-based) probiotics I recommend. In fact, one exciting study has found that the strains in Just Thrive Probiotic can begin healing leaky gut. They also have some very exciting research coming in the future. If you haven’t listened to our podcast with Kiran Krishnan who is performing some of this research, you should definitely check it out. And good news! If you’d like to try Just Thrive, they’re offering 25% off your first purchase when you use the code RUSCIO at checkout (R-U-S-C-I-O). They’re available at ThriveProbiotic.com or on Amazon. Check them out. DrMR: Now, I’ve heard of this other test called the MitoSwab. Have you heard anything about this? Apparently, it’s a buccal swab. DrJK: That I have not heard of. DrMR: Okay. I’m going to send you an email after this. And I’d be very curious to get your thoughts because apparently this MitoSwab test is supposed to highly correlate with muscle biopsy which I’ve heard is the gold standard. But maybe you can weigh in on that because I’m in the deep end of the pool with my knowledge base on this one. DrJK: Yeah, so it looks to me—I just looked it up. And it looks to me like it’s actually measuring mitochondrial enzyme function and some of the electron transport chain complexes. So yeah, anything that’s taking a direct look at the mitochondria as opposed to looking at indirect byproducts of mitochondrial function, you really want to be looking directly at the mitochondria. DrMR: And I thank you very much for making that distinction because I think what many functional medicine providers are confronted with are these secondary or indirect assessments which I always had a hard time with because you don’t know what one of a number of things could be skewing that read. And you may be looking at the byproduct of inflammation rather than a true mitochondrial problem if you’re looking at an indirect assessment. Is that correct? DrJK: Exactly. I would agree completely with that statement. DrMR: So then generally speaking, you would not be in endorsement of these indirect assessments? DrJK: That’s correct. Sometimes they give you a clue. But I do not use them routinely in clinical practice. I assume that if a person is exhibiting clinical symptoms that I believe are consistent with a fall off in mitochondrial function or one of these age-related mitochondrial issues, I’m much more confident in my clinical assessment and my clinical judgment. So for instance, if I’m working with a patient who has chronic fatigue, who has cognitive issues, slow thought processes, difficulty with alertness or concentration, these are all signs to me that the brain and other systems of the body don’t have a surplus of energy. And so those are some symptoms. If you have a person who has liver inflammation or a liver that’s slow to process toxins, that would be a sign that mitochondrial function is off in that organ. If a person has frequent infections—let’s say they have recurrent herpes simplex or frequent colds and flus or even sinus issues—the immune system has lost its edge. And I know from my 25 years of experience intervening as a mitochondrial specialist. I know the best way to get the immune system back up to full strength is to support the mitochondria of the immune cells and of the system as a whole. So I’m much more confident in the clinical assessment. And I don’t need hundreds of dollars of these indirect lab tests to even confirm my assessment. DrMR: Perfect. That’s supremely well said. I will again circle back with you after because I would be curious to get your thoughts on the MitoSwab just for the practitioners who, I think, are looking when they’re confused because I’m sure the clinicians here know exactly what I’m talking about which is, you get to the end of your typical therapeutic toolkit. And you’re trying to decide what may be the best referral to make. And maybe you perform some preliminary testing to at least guide where the person should then see a specialist in. And so I’ll circle back to you with that offline here. And we’ll provide any updates in the transcripts in terms of the MitoSwab and if you would say that could be something that could help people. But I love what you’re saying about the clinical presentation. So there are a couple things I want to drill down into here because, like many things, unfortunately there are a list of symptoms that could be caused by any number of things—hypothyroid, gut inflammation just as two common ones that people are probably trying to differential diagnose. So I think it can help to try to flag some of these key conditions and key indicators that may pose a high probability of risk. And you also already mentioned chronic fatigue, slow cognition, poor concentration, recurrent infections, liver dysfunction. Could you help outline the high risk either conditions or symptoms? And then if you could also juxtapose that with other conditions that you consider low risk—so when someone knows not to bark up the mitochondrial tree. DrJK: Right. Right. So like I said earlier, the strongest evidence of a link between severe mitochondrial abnormalities and mitochondrial dysfunction and a common disease or two are in the neurodegenerative diseases, so any kind of dementia or Alzheimer’s or Parkinson’s disease. From everything I have reviewed especially in the last 10 to 15 years of published research, I’ve come to the conclusion that the reason you get the buildup of—in Alzheimer’s it’s beta amyloid protein. And in Parkinson’s it’s alpha-synuclein protein. The reason you get these diseases does not start with the buildup of these proteins. The reason these proteins build up is because nerve cells have lost their ability to generate energy healthfully. And the mitochondria have become damaged. And they’re leaking free radicals. And eventually, due to all of this oxidative stress, these proteins denature. And when the proteins denature and malform, it starts a vicious cycle. For instance, by the time a person is diagnosed with a tremor in Parkinson’s disease, they’ve lost 70, 80% of the brain cells in the part of the brain that’s necessary for healthy movement. So it’s been going on for a long time. And the research really supports that mitochondrial abnormalities are the beginning of the process. So Alzheimer’s disease, Parkinson’s disease, any kind of dementia, neurodegenerative disease/dementia—those would be at the top of the list. DrMR: And would you say people with a family history should be extra careful and proactive in this regard also? DrJK: I would absolutely say that. I would recommend that people consider supporting mitochondrial function as a way to encourage healthy aging so a system of your body doesn’t prematurely decline because every system of the body, even your heart if it’s been working hard for six or seven decades, those mitochondria are at great risk for running out of gas, for declining in their ability to make enough energy. So I think it’s part of a healthy aging program. Your nutritional supplement program is just a start. It should include a mitochondrial support component. And when we talk about supporting the mitochondria aside from micronutrient supplements, what the mitochondria need is clean air/clean oxygen, clean water, and a healthy diet. Those are the three most important elements to healthy mitochondrial function—clean air, clean water, and clean food. And then you throw in a healthy exercise program and some mitochondrial support supplements and you are way ahead of the game. DrMR: Gotcha. Yep, so I’m glad you make the note of some of the simple things we can do to help with this. Coming back to just painting the picture here for both the clinicians and the lay audience, you said “recurrent infections.” Is this a certain type? If someone had small intestinal bacterial overgrowth (SIBO) that was recurring compared to viruses—it sounds like if someone had a recurrent viral infection, that may be more indicative of a mitochondrial issue than if they had a recurrent gastrointestinal overgrowth. But I don’t want to put words in your mouth. Would you explain any of the gray there for people? DrJK: Yeah, so I think the clearest indicator to me that the immune system’s ability to—well, let me say it a different way. The immune system’s ability to robustly protect one from infection, in my opinion, is very strongly linked to the immune system’s energy-generating capacity. So if the mitochondria of the immune cells are compromised to any extent, then your immune system is not going to function as effectively and as robustly. And a sign of that would be chronic, recurrent infection. So you did point out that if it’s a chronic, recurrent viral infection or even a bacterial infection such as bronchitis or sinusitis or even I’ve had patients who’ve come in to see me with three or four hospitalizations from MRSA, from resistant staph. And they had to go into the hospital and get IV antibiotics. Supporting their mitochondria, not only with supplements but with an overall functional medicine program to just lower their stress and improve their diet, etc. was all that was needed to break the cycle and never have them get a MRSA infection again. So bacterial infections and UTIs. Bacterial infections would easily be a marker for an immune system whose mitochondria are struggling. When it comes to the gut, you bring up a good example. The gut has so much complexity going on. And it’s related to so many factors including the quality of your diet, the amount of stress you’re under, the amount of exercise you’re under that I’d say there is lots of input from other factors as well. But still, two-thirds of the white blood cells hand out in lymph nodes around the gut. And they are intimately involved in surveillance and trying to keep your gut in a healthy state. So I would say it would play a role in improving small bowel overgrowth and other types of conditions. But there are other factors that are of equal importance that I would address as well. DrMR: Gotcha. Yeah, that makes a lot of sense because, you’re right. There are a lot of “feed ins” to the gut. DrJK: And also two other systems. So like we said the liver. The liver is a high intensity energy utilizer. It does so many things for our body metabolically and detoxification. And so the liver is very susceptible in a positive way to working better if you support its mitochondrial function. DrMR: Now, are you seeing this liver dysfunction through elevated enzymes? Are there other indicators people would want to be looking for? DrJK: Well, elevated enzymes would be a clear indicator. The liver is inflamed. It’s working overtime. Anytime anything is inflamed, it’s subject to damage from reactive oxidative molecules and free radicals because that’s how a lot of the inflammatory cells exert their function—releasing lysozymes and things that have lots of toxic chemicals in them. So anytime there’s inflammation, you have an overload of oxidative stress. But there might be some other assays that people are doing to measure the robustness of the detoxification pathways. And if the detoxification pathways are slow, boosting mitochondrial function can speed them up. DrJK: And then the last system I’d just like to mention is the endocrine system. We deal with a lot of people who have adrenal fatigue and have been under chronic stress. And their adrenal glands are not able to make enough DHEA, make enough testosterone, make enough cortisol. And part of the fatigue in adrenal fatigue is the mitochondria of the adrenal gland burning out. That’s part of that whole scenario. And so if you’re treating adrenal fatigue, you absolutely want to support the mitochondria of the adrenal gland. The good news here is if you give a supplement program or even an overall program whose goal it is to boost mitochondrial health, you’re improving mitochondrial health in every system of the body. So you get benefits throughout the entire body. DrMR:. Okay. Alright. This is has been a fantastic breakdown for where to really look more closely at the possibility of a mitochondrial problem or consider treatment because some of the looking here is still yet to be widely clinically available. Now, when we come into the realm of treatment, you mentioned some dietary and lifestyle factors. And I think people are familiar that exercise can help. There’s some evidence that fasting can help. Low carb diets, I believe—at least I’ve heard anecdotal reports that low carb diets may help, and a diet rich in fruits and vegetables which can be antioxidant rich. So I think some fundamentals that people are probably generally going to be following for overall health. But are there any keynote practices from a diet and lifestyle perspective that you think require emphasis? DrJK: Well, I think when it comes to mitochondrial health, you want to look at both sides of the ledger. So on one side of the ledger, you want to support the mitochondria with healthy raw materials—so clean air, clean water, and lots of quality mitochondrial support nutrients. And the nutrient formula that I was able to refine and test in people with these kinds of diseases which turned out to have a very observable clinical benefit included large doses of N-acetyl cysteine [NAC], acetyl L-carnitine, alpha lipoic acid, and CoQ10. Those are four key mitochondrial nutrients that, when combined in the right ratio, app to exert a very noticeable positive effect on clinical symptoms. And so what I did for my patients and in the research trials I performed was I took those four (NAC, acetyl L-carnitine, alpha lipoic acid, and CoQ10). And then I took that core. And I embedded it in a broad spectrum multivitamin. So B complex and C and B12 and D and everything you need in a good multi but with high doses of those key mitochondrial support nutrients. And that became the K-PAX Immune formula that we tested in the AIDS study. And it became the nutrient component of the treatment we used in the chronic fatigue syndrome study. And it will be the nutrient component we use in the Alzheimer’s study. DrMR: Now, is this an over-the-counter supplement that people can just buy at a health food store or online? DrJK: If you just Google “K-PAX Vitamins,” you’ll see our website. And K-PAX Immune is the mitochondrial formula. And if you look on the supplement facts box, you’ll see it says mitochondrial support proprietary blend. And it lists each of those key nutrients and the dosage. So we’re talking NAC 600 mg once or twice a day, acetyl L-carnitine 500 mg once or twice a day, alpha lipoic acid 200 mg once or twice a day, CoQ10 100 mg once or twice a day. And when I say once or twice, twice a day is the treatment dosage if you’re trying to intervene in a positive way. Once a day would be considered the maintenance dose. DrMR: Gotcha. And that leads to another question which is, how can people tell if this is working? And I think for both clinicians and lay people alike, they sometimes struggle to say, “I think I’m feeling better. But I’m not really sure.” Is there a response trajectory people should be following to know that it’s working? DrJK: Yeah, that’s a great question. Okay, so this leads into the next phase of what I learned in the research. So the first study we did was to identify these key nutrients. And what we found was that at least in reversing the mitochondrial damage, it took about two to three months to reverse the mitochondrial damage and to see beneficial effects in symptoms and in immune strength. But when I started using this formula in chronic fatigue syndrome, people who’d been ill for, let’s say, 10 years or more, it helped stabilize and get people feeling mildly better within a few months. But there was a very gradual nature to the improvement. And what I’m hoping to do is to identify a mitochondrial intervention that ultimately can be proven to produce a rapid benefit in treating a disease. So we’re going down the FDA approval path, not for the nutrients alone but for a mitochondrial treatment that contains the nutrients. And what I learned was a way to accelerate the positive effects. So any of the symptoms we’re talking about, if they include fatigue or if they include cognitive slowness, you can try the purely nutritional intervention by itself. And if it works within a short period of time, you just stay on it. But what we have found in our research is that, for many people, the way to accelerate the benefits and the clinical improvement was to add a very low-dose of a stimulant to this mitochondrial cocktail. Now, this is not FDA approved. I want to be very clear to everybody. This is something that our company is developing as a way to accelerate the benefits of this mitochondrial intervention. But by giving the mitochondrial intervention and almost a homeopathic dose of something like Ritalin or a tiny, tiny dose of Adderall, there was a great acceleration to the improvement in fatigue and brain fog and those kinds of symptoms. Now, when I say a homeopathic dose, the average dose of a stimulant drug like Ritalin for what it’s indicated for (which is ADD) is 40 to 60 mg a day. We have found that something as small as 5 mg once or twice a day co-administered with this mitochondrial nutritional supplement has a profound catalytic effect to what you’re trying to achieve in your patient. DrMR: Interesting. And is the dose for Adderall also that 5 mg one to two times a day? Or is it different? DrJK: Well, the reason I prefer using methylphenidate (which is the generic name for Ritalin) is because it’s very short acting. And it’s very cheap because it’s generic. And you can get it in very, very low dosages. So I tend to prefer 2.5 or 5 mg of methylphenidate with breakfast and with lunch. And then by 6 pm, it’s completely gone. It only has a two to three hour half life. And the person has been more active during the day because of this combination treatment and because they’ve been taking a little bit of a stimulant. And then at 6, 7 o’clock at night they start getting really tired. And they sleep better because they’ve been active during the day. And that tends to have added benefits because they sleep deeper and it resets their biological clock. So these have all been things that we learned over the past five or six years from our clinical trials. Now, I’m sure people are wondering, “What about things like glutathione, vitamin C, vitamin K2, creatine?” There’s also the—it’s either PQQ or PPQ. What are your thoughts on any of those, again knowing that there are a lot of theories out there? But it’s helpful if there’s at least some outcome data showing benefit with these. DrJK: Right. So I believe the many of the nutrients you’ve mentioned are complimentary and do play a supportive role. So in the K-PAX Immune Formula, in addition to those high doses of NAC and acetyl L-carnitine and others, there’s a gram or two of vitamin C. There’s a 1000 units of vitamin D. There is zinc and selenium. So I believe that those are important complimentary nutrients as well as B complex. I’ve gotten such positive results with the formula I’ve been describing I haven’t used vitamin K. I haven’t used some of the other more, let’s say, peripheral interventions. 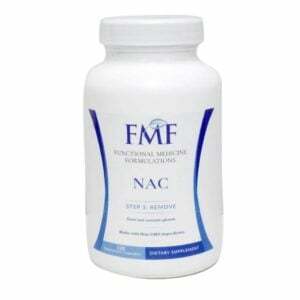 And I haven’t really seen much added benefit with the NAD supplements, the NADH supplements. So I tend to rely on this formula and maybe sometimes boost the specific nutrients in this formula such as adding extra CoQ10 or extra acetyl L-carnitine. DrMR: Okay. And then in terms of prescriptions, you already essentially mentioned two. Are there any others that people may want to consider? DrJK: For having a positive benefit on mitochondrial function? DrJK: No, I haven’t found anything other than the gentle little bit of stimulant that tends to jumpstart the effects. But on the other side, I would say, there are many drugs that have very deleterious effects to the mitochondria that clinicians should be aware of. Any of the quinolone antibiotics, I believe those even have a black box warning now for certain side effects such as tendon rupture. That is because they’re directly toxic to mitochondrial function. So the quinolone antibiotics. DrMR: Statins is another one, correct? DrJK: Statins, yes. Statins is directly deleterious to mitochondrial function by lowering coenzyme Q10 levels. Some of the older antidepressants. DrJK: Tricyclics. Thank you. Anybody who goes through chemotherapy, their mitochondria are devastated at the end of chemotherapy. And they should be on a full court press to rebuild mitochondrial health. DrMR: Gotcha. That’s very good to know. That’s really most of what I wanted to go through. Are there any closing thoughts that you’d like to leave people with? DrJK: Well, I think that certainly clinicians and eventually the general public—I think we’re going to be hearing more and more about the importance of healthy mitochondrial function, its relationship to the aging process, its relationship to diseases that are age related. And ultimately, when we have access to a direct mitochondrial assay, it’s going to make everyone’s lives easier because we’re going to be able to catch people before they become sick. We’re going to be able to put them on a program to improve their mitochondrial health. And then two or three months later, we’re going to be able to retest them. And we’re going to be able to assess whether or not the problem is doing what we intend it to do. So I’m hoping we get to that point in time and we have those tools in not much longer than the next three to five years. But I fully believe that that is going to be a new way of practicing medicine. And that’s what functional medicine is the best at. It’s the best at rebuilding the normal, healthy functioning of the body. And they don’t teach you how to do this in medical school. So once mitochondrial health is seen as important as it really is, I think the art and the skill of functional medicine doctors and the importance of what we do is going to go up substantially because we know how to do this. And once we have the ability to do this direct assay and prove that what we do helps move the needle in the right direction, I think there’s going to be a demand for this kind of medicine way beyond what we currently see today. DrMR: Yeah, I think that’s well said. And one thing that just shot into my head is the Bredesen protocol. Have you come across Dr. Bredesen’s work? DrJK: Yes. Yes, I think he’s doing absolutely groundbreaking work. And I fully support everything he’s doing as a way to show that, no, Alzheimer’s can be turned around. And people shouldn’t buy into only treating it from a conventional perspective. DrMR: Great. Great. And then if people wanted to learn more, do you have a website or a book you’d like to point them to? Or is there a good educational body in general that people can learn more about this? DrJK: Yeah, the best place that you can go if you want to learn much more detail about everything I was saying is—so Google “K-PAX Vitamins.” And go to the K-PAX Vitamins website. On the menu, it says videos. And there are 4 fifteen-minute videos. It’s a series. And it’s at a clinicians level on why mitochondrial health in general and these particular nutrients specifically are so important to your health. And if you watch these four videos, you’ll really get a deep dive. DrMR: Great. Well, Jon, thank you for what you’re doing. Again, I can’t tell you how refreshing it is to have something here published to help find our way through the confusion of health claims that, I think, both the practitioners and the lay audience are inundated with. So again, I really commend you and appreciate the work that you’re doing. DrJK: Thank you for inviting me on your show. And I commend you on the work you’re doing as well, Michael. Then I would not recommend taking these and focusing on the dietary/lifestyle factors we discussed PLUS optimizing your gut health. Consider Healthy Gut, Healthy You. Thank you for all your work and all the infromation you share. This is really generous on your part. I had a MitoSwab test done and it did correlate well with a muscle biopsy. Measuring nitrotyrosine and 8 OH dG can be helpful, too. I have also had good results with LIAS Research NAD+ and IV NAD+, however, none of the heavily touted nicotinamide riboside products have helped me at all, even at high doses. And phosphatidyl choline IVs and NT Factor can help mitochondrial membranes. The KPAX product has good ingredients, but the doses and ratios may not be optimal for most patients. My body needs a lot more B12, for example. Testing and supplementing separately is wise. Is mitochondrial function at all related to MTHFR genetic mutation? If so, how do they connect? Despite what many would have you believe, I don’t feel MTHFR to have much value, this is also what the science says. What do you think about the controversy of Alpha Lipoic Acid liberating mercury and causing it to get into the brain? Wow, the suggested use is 4 tablets 1-2X/day.. so it would cost at least $70/month (120 tablet bottle)! Would taking CoQ10 alone help with mitochondrial function? On Peter Attia’s podcast with cholesterol pioneer Dr. Ron Krauss, it’s mentioned (1h21m33s mark) that Jarrow’s CoQ10 ubiquinol was the only supplement (among the ones they tested) that actually increased CoQ10 levels in the blood. The dose is 2 capsules, once to twice per day. I really found this podcast valuable. Thanks! When I went looking for K-Pax, I found that there is the main product (the Mitronutrients) and then there’s also an Activator product. Among other things, the activator contains 60 mg of caffeine. Is this intended perhaps to act as the stimulant in a non-prescription product, replacing the 5 mg. of Ritalin that would be given under a doctor’s prescription? Also, is there some reason why these products contain ubiquinone instead of ubiquinol? I thought the latter was more useable, especially for people who are already suffering from mitochondrial dysfunction. Glad it was helpful. We linked directly to the product I recommend. I can’t speak to other products but you might want to ask KPax directly.